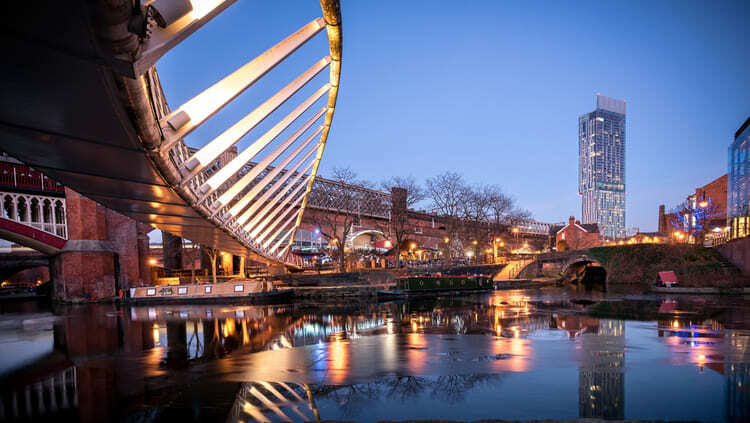 Manchester offers the best of both worlds, a vibrant world city, two hours by train from London but with the breathtaking scenery of the Lake District, Peak District, Cheshire and North Wales all easily accessible. The city is well served by transport, with regular train connections across the UK, and Manchester International Airport providing direct flights to all major European cities. It’s easy to get around in the city due to its comprehensive bus, tram and local train network. As far as setting up home in Greater Manchester goes, there are properties at a wide range of price points to rent or buy. From city to suburban to rural living, there’s something for all tastes: amazing city penthouses, contemporary apartments, Victorian terraces, semi-detached houses and traditional family homes. Each area of Manchester has its own distinct identity, offering a lifestyle to suit everyone and a host of different shops, restaurants and leisure activities to explore within a compact area. The relocation of staff from the BBC and other leading media organisations to Media City cements the region’s status as an affordable and attractive proposition for employment and home life alike. It’s also a great place to learn. With the world-class University of Manchester, Manchester Metropolitan University, and the Royal Northern College of Music, the city boasts Europe’s largest urban higher education precinct. Equally, Greater Manchester is home to a variety of great schools and colleges. Significant public and private sector investment over the last 20 years has transformed the city into one of the UK’s most innovative and modern urban hubs. Despite this, Manchester remains proud of its central role in the industrial revolution and has fiercely protected its heritage and historic architecture. It’s no wonder that The Economist Intelligence Unit in 2014 named Manchester among the world’s 50 most liveable cities ahead of London, New York, and Rome.